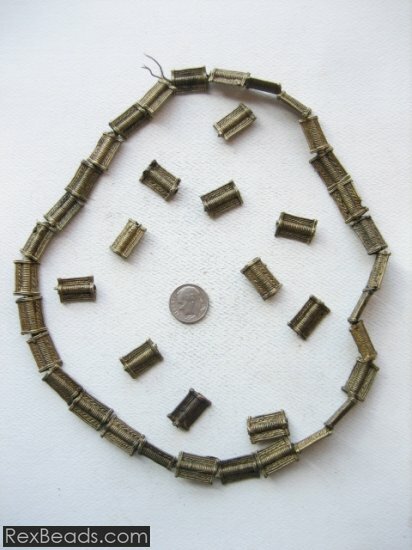 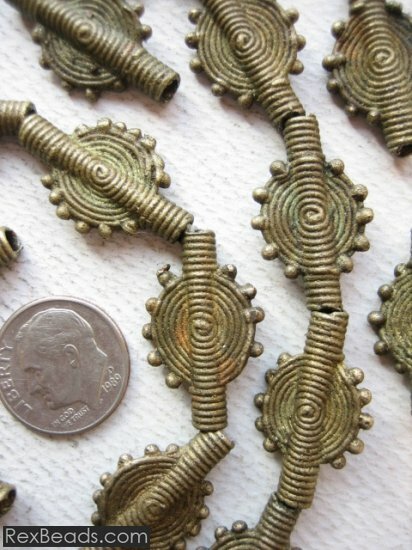 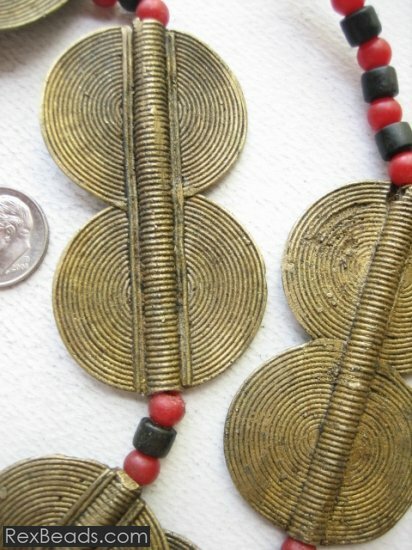 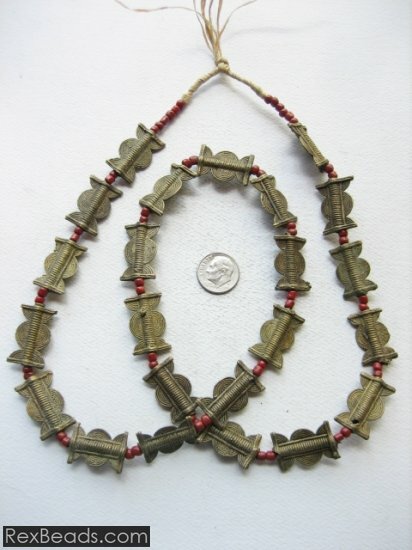 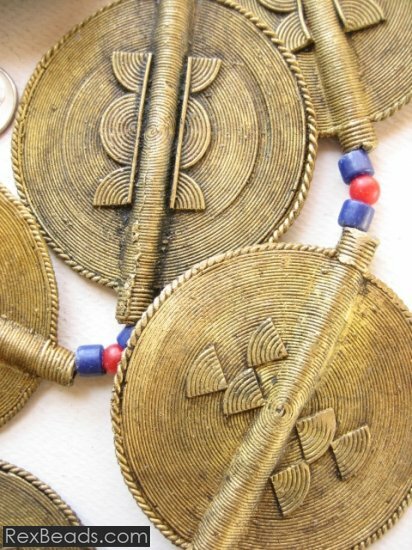 Originally found in West African countries such as the Ivory Coast, boule brass beads are made from brass and strung to produce beautiful jewelry. 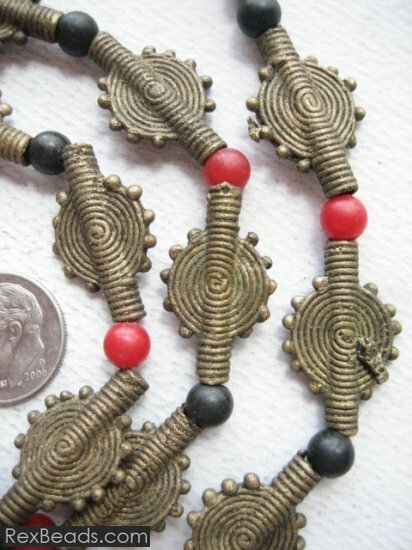 Boule beads were part of a family tradition of bead making, with tools and techniques being passed on from generation to generation. 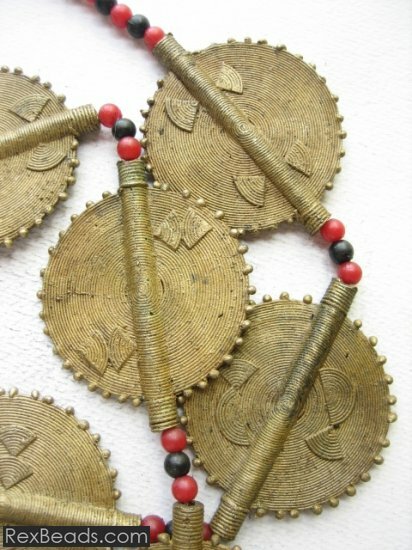 The Hausa of West Africa were particularly known to dominate the bead trade as they traveled extensively to locate beads in villages, modify them and sell them to both local and foreign merchants. 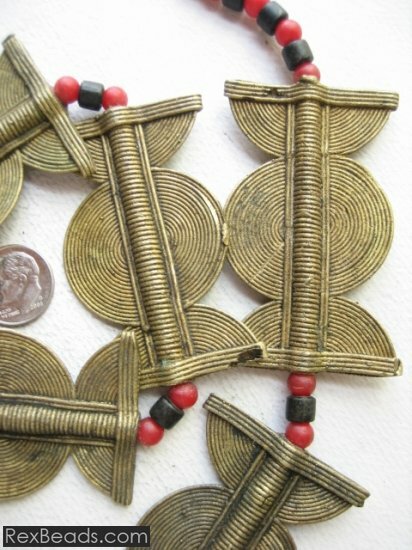 These beads were originally used to make ornaments such as necklaces and bracelets that would serve as symbols of power, wealth and status in society.